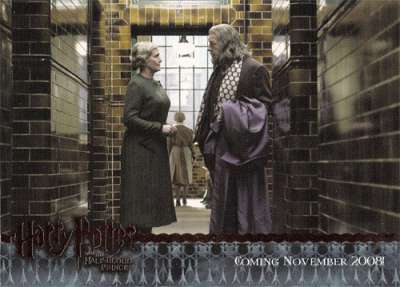 Harry Potter and the Half-Blood Prince hits theatres November 21, 2008. Click Here to shop for all of your favorites at the Official Harry Potter Shop! yup they look really really good, i've been looking at them a while ago. 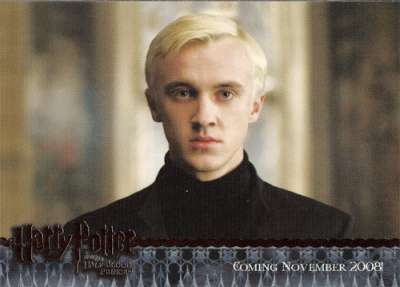 Love the one of Tom Felton!!! 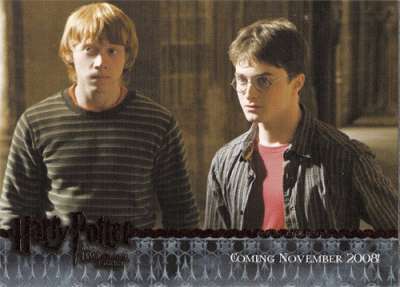 I love the Harry Ron, the look so serious!!! I am so excited about this...Everything seems to be looking like it should, hopefully they will stick all tehy can to the book! I want those cards! (: They look awesome . Love the Harry/Ron and Harry/Hermione one. the harry/hermione one is real nice!no hermione in hbp trailer but at least some pics of her in WB images! 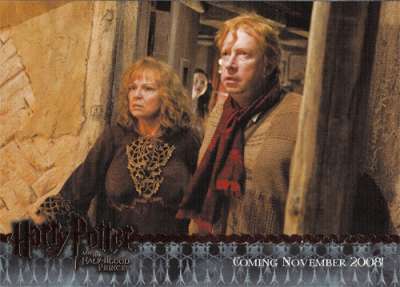 like the mr mrs weasley one too!hehe. must be Harry trying to weasel his way into using the HBP's potions book, which is what he's holding there. Those are great! I hope there're more! I have been checking them out too, but it is Rupert who is growing on me! Lovely trading cards. They look awesome! I want to buy them so I will wait....I absolutely dont want to buy them on ebay for some ridiculous price with an even stupider higher price for "postage".